Do you have joy unspeakable and full of glory (1 Peter 1:8)? If not, then I hope you will learn how to have joy in your life. The Bible says that we can have joy even during trials and tribulations. How do we obtain this type of joy in our lives? Joy is a fruit of the Spirit, which is a gift. Take a close look at Galatians 5:22. The word “fruit” is singular in this verse. The verse says, “The fruit of the Spirit is . . .”. So, there is only one fruit of the Spirit, with 9 characteristics. You either have all the fruit or you have no fruit. Take a look at the 10 Bible Verses below. Each verse provides a clue about having joy in your life. 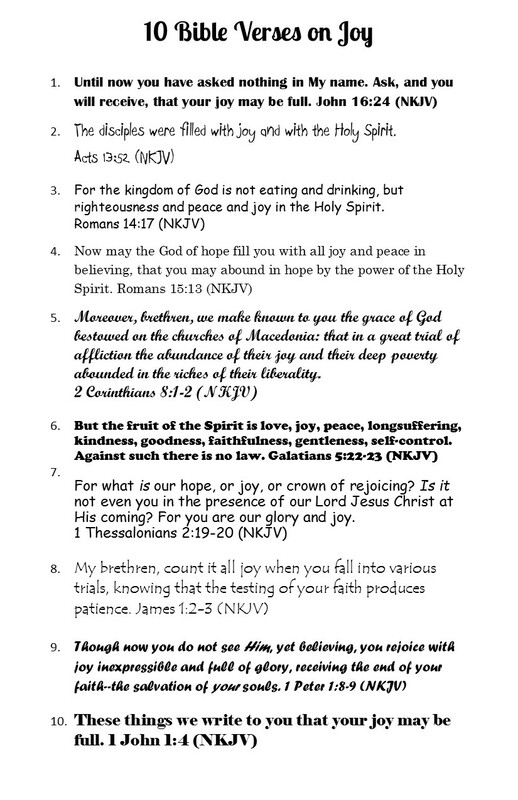 According to these verses, we obtain joy by asking and receiving, being filled with the Holy Spirit, receiving a gift from God, reading the Word of God, being in Christ’s presence and joy in our salvation. If you are not spending daily time with the Lord in prayer and reading His Word, you will not have joy. You must also ask for the filling of the Holy Spirit. Check out my post, 4 Steps to Being Filled With the Holy Spirit, to learn how to be filled. I believe that many Christians lack understanding of the Holy Spirit. The church in America is joyless and powerless, because we don’t know how to plug into the power. I hope you will learn to be filled with Joy and the Holy Spirit today. 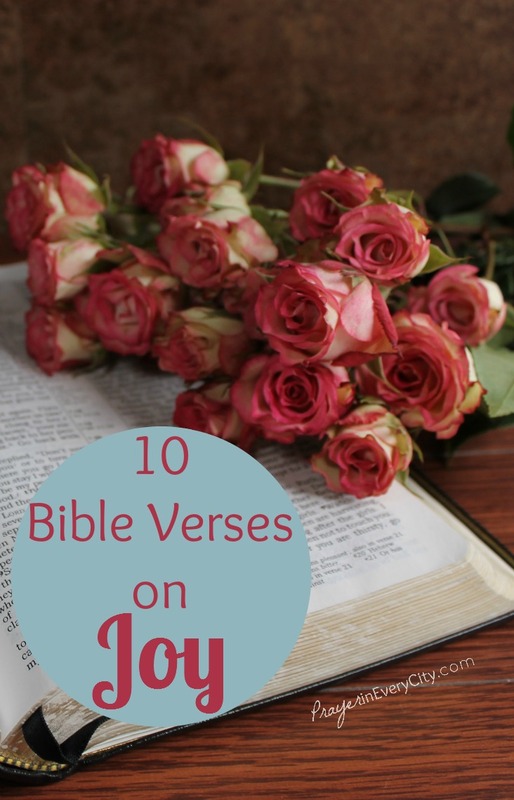 Printable Version: 10 Bible Verses on Joy. This is the perfect size for your Family Photo Prayer Journal.